Way back in September Kai & I decided to make a run for the small town of Ajijic, a short 36 mile ride south of Guadalajara to check out an almost too-good-to-be-true short-term rental opportunity. We had decided to take a few months off the bicycles to focus on some work we needed to do. We seem to have a knack for serendipitously reuniting with James and Margit. Just after merging back on to the highway after a quick lunch at a roadside restaurant, I was surprised to hear a familiar voice behind me. James! Turns out he, Margit and Marina had also decided to leave Guadalajara that same day! We both thought we had missed each other by a few days time so we were happily surprised to see each other again. 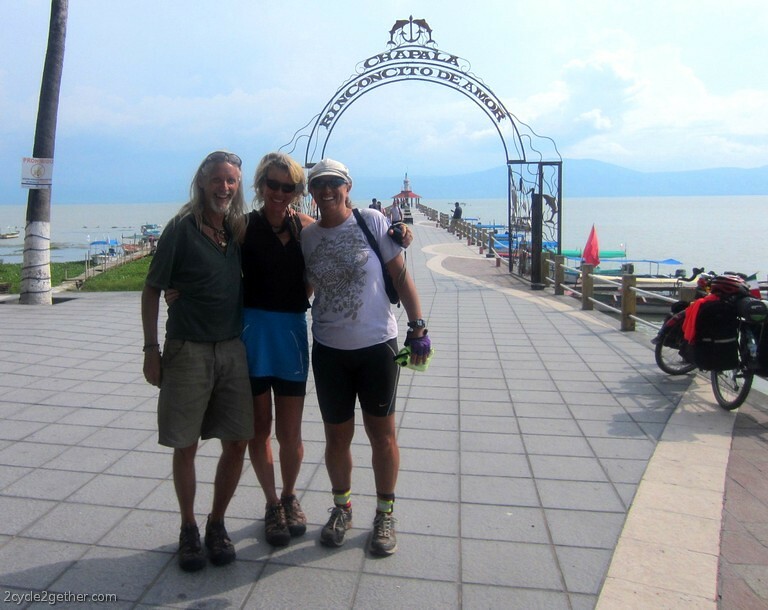 As Margit, James & Marina headed on to their final destination, Kai & I rode West to Ajijic. There, we met with Toni & Chad, a couple we had been corresponding with over the last week via email. They had generously offered to let us stay in one of their rental homes for an unbelievably discounted rate. When we first saw the home we just about cried, it was so beautiful and peaceful, exactly what we needed to focus on our work. 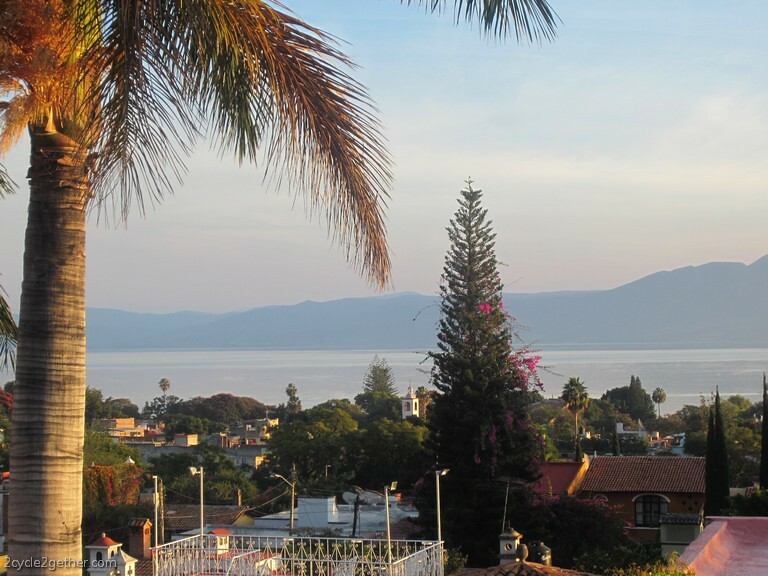 The town of Ajijic (pronounced Ah-ee-heec) sits on the north shore of Lake Chapala, the largest lake in Mexico, and snuggles with the Sierra Madre Occidental Mountain Range, at a little over 5000 feet above sea level. The average temperature is 72F (22C) and it’s a gorgeous place. 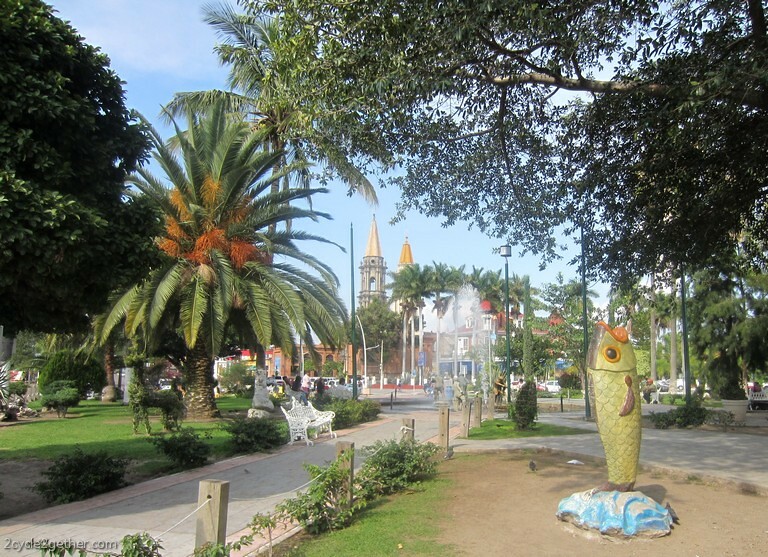 National Geographic named this area the “the Second Best Climate in the World” and because of it’s close location to Guadalajara and the airport, it’s also become home to the world’s largest ex-pat community. And a look at the mountains from lakeside. To be honest, we had mixed reactions about settling here for an extended break. We tend to shy away from touristy or ex-pat communities in general, mainly because we don’t support the negative effects that can result from the birth of such communities – the environmental damage that over-development causes, the excessive pressure put on existing infrastructures and the exploitation of local cultures, land and resources. And although there are locally run and ex-pat driven organizations fighting to keep things in balance, when profit-driven agendas exist, it’s often a losing battle. Tearing up the mountain to make room for new development. On the other hand, we also realize ex-pat communities can help grow local economies, can bring in extra funding for local initiatives and can help improve overall infrastructures, if done properly and with the approval of local people. A lot of the ex-pats that live here have embraced the culture of this area and have become invaluable members of the community. Many of them, although technically ‘retired’ bring their skills to the community table and help create healthier balances. They care about the quality of the air, the food, the water and they do everything they can to help protect these things. They speak Spanish fluently, buy their food and household items from local markets and vendors, and maintain friendships with their neighbors. 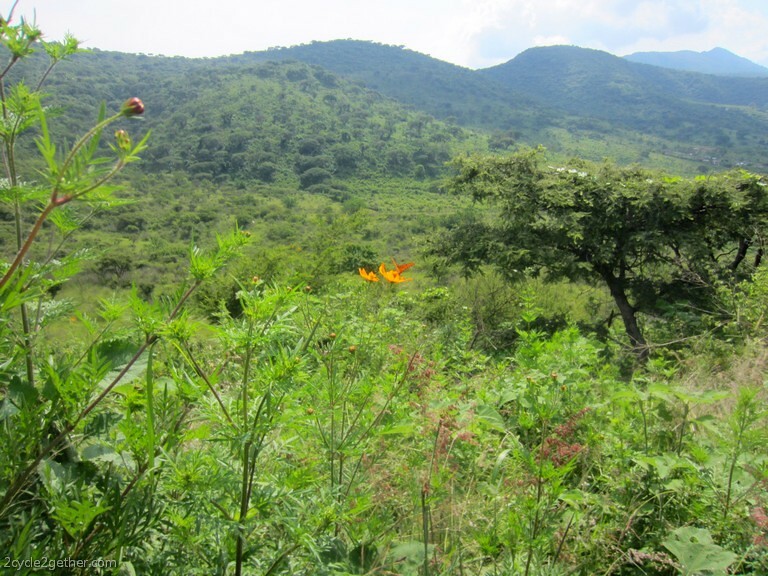 Many of the people who move here full time do so to get away from unhealthy imbalances that existed back home and they find a more peaceful, healthier lifestyle in Mexico. We can understand why people settle here. There is something magical and healing about this place. 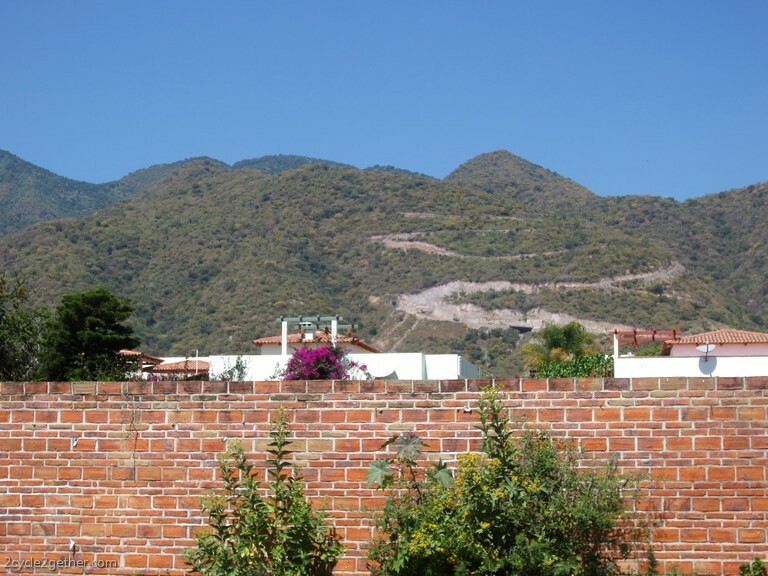 During our time here, we’ve been taking advantage of having access to a reliable internet connection and to an abundance of affordable, beautiful rentals (many homes here are empty due to the ongoing fear of drug-related violence in this area). 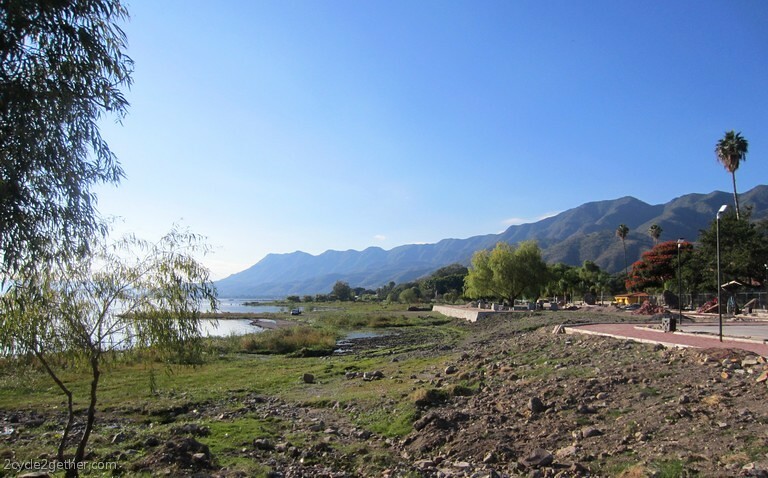 Miles of bicycle paths run along the main road between Chapala and Jocotopec, so we’re loving that! We’re addicted to the Tuesday organic food market just down the street from us, where we can pick up an unbelievable selection of fruits and vegetables grown by local farmers. We’ve been spoiled by the consistently beautiful weather, seen some gorgeous sunsets and formed some amazing friendships with people here. Wide and beautiful bicycle lanes. 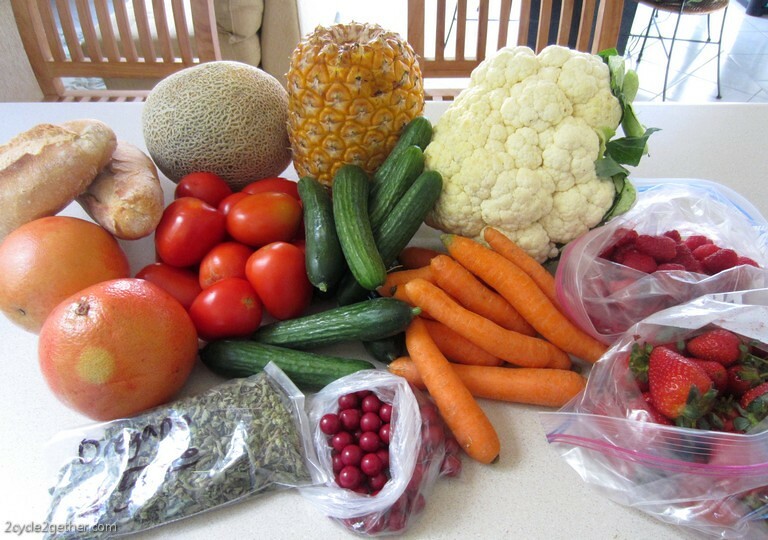 Fruits and vegetables from a local market. So, what exactly have we been doing?! Of course, as most of you already know, we’ve been pulling together all our videos, notes, floor plans, diagrams and Sketch Up drawings of our Tiny House in order to create one cohesive, detailed How-To-Build eBook. We’ve been making great progress on that project and we’re really excited to share our story with those who are interested in building a Tiny House like ours or who would just like to know what to expect before you decide to build your own home. Sign up to receive our Tiny House Newsletterif you’re interested in finding out more about our book. 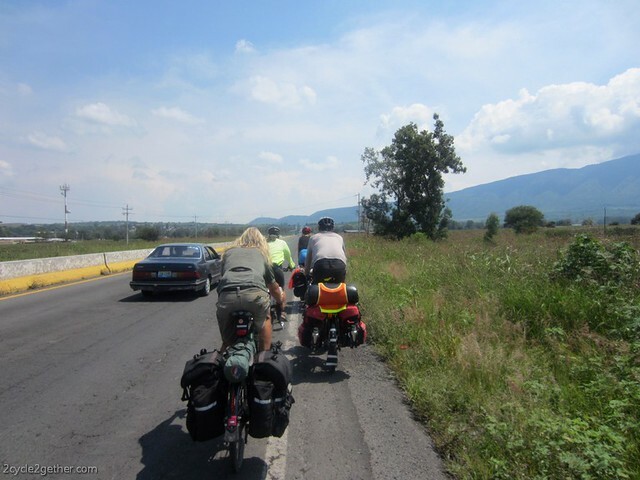 We’ve also been meeting some pretty inspirational people in Jalisco – a young woman who started a seed-saving network for this area, a group of people who after training with Maya Pedal have started a bike machines cooperative, an artist who has an amazing life story and who creates beautiful work that challenges us to think about life, politics and environmental destruction…just to name a few. We’ll share the interviews, videos and profiles of these folks in upcoming posts. We’ve discovered several new foundations and organizations that are doing great things in the world, a couple of which I’ve been volunteering with directly. I’ve been helping to update some organizational databases from afar for Wiser.org and I’ve recently taken on revamping a website and designing some promotional material for a local health clinic that serves the indigenous population in and around Ajijic. Kai and I are really excited to cycle out to a village where the clinic provides services next week, to take photographs of their work for their new website. We’ll update our Fundraising page soon, so that you can consider donating time or money to them as well. Kai’s been busy working with some organizations back home and has been writing lots of letters to get the word out about everything from the dangers of dumping sludge on open land, in our backyards, gardens and playgrounds to a need for increased funding for bike, pedestrian and mass transit options. 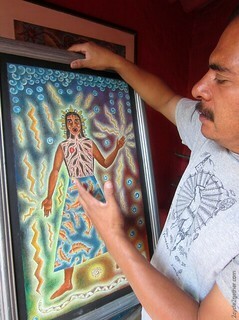 We’re always participating in a zillion online campaigns that are fighting things like the Keystone XL pipeline or the expansion of Canadian-owned mines in the sacred lands of the Huichol people here in Mexico. We managed to get in some much needed friend and family time. 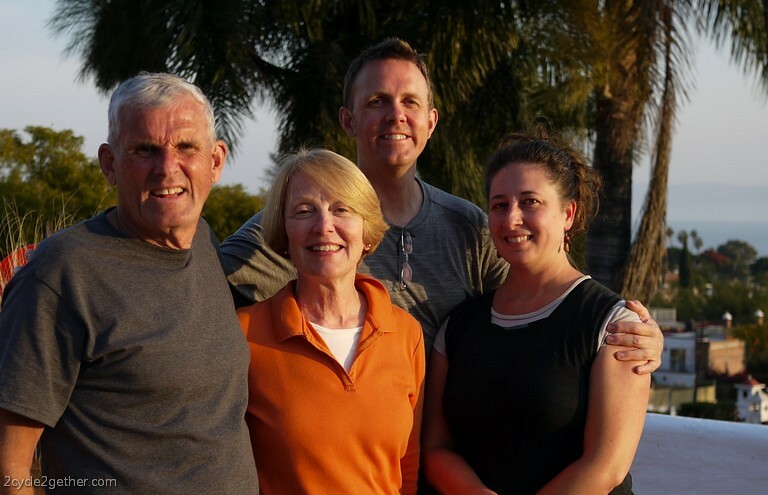 We had a great visit with Cris & Fred (the couple who hosted our stay in Mazatlan) in September and we spent much of November with Kai’s parents. But, honestly, our primary focus has been on our most important work, some big life work. We’ve been learning how to take care of ourselves and our relationship. In hindsight, we can’t believe we haven’t made something so important more of a priority in our lives before now. Over the years we’ve been focused on so many other things that we’ve failed to take care of ourselves along the way. Here’s what we’ve learned: When you fail to address a lifetime of baggage and trauma, you drag all of it along with you wherever you go. Even if you don’t realize it’s there, it is and it’s patiently waiting till you’re ready to deal with it. And although those shadows of past experiences have been there all along, well before you met your life partner and well after you think you’ve figured it all out, once you’ve removed any distractions you’d previously created in your life to camouflage them, they take center stage and clamor for the attention they deserve. As we purged all our stuff and paid off debt, our shadows were there. 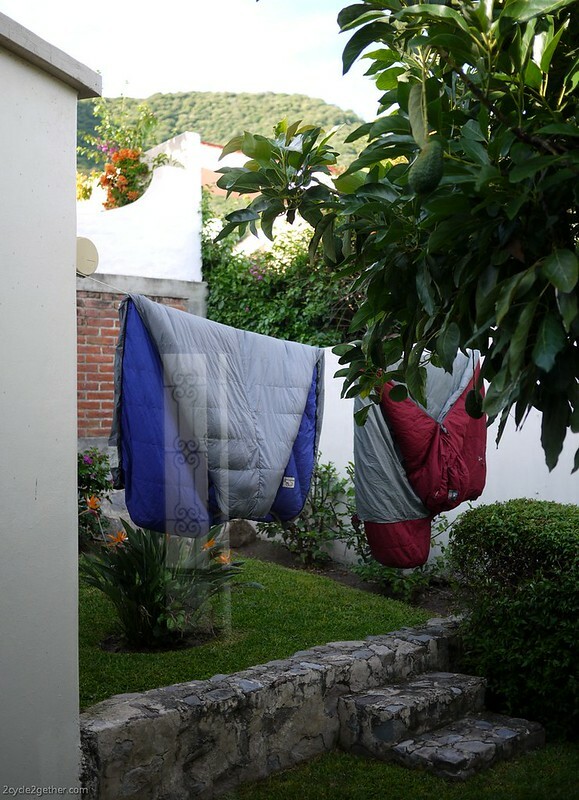 They followed us as we quit our jobs, built our house and packed our panniers. As we cycled down the Pacific coast highway, through the deserts of Baja and into mainland Mexico, we were dragging all our unresolved issues down the road with us. It was as if each issue, each shadow, was attached to our rear bicycle racks by an invisible string. As we cycled along they bumbled and bounced off the tarmac behind us, much like the empty cans you see attached to newly-weds’ bumpers. The further we rode the less we could ignore the horrible racket all those shadows were making. And so, we stopped. Stopped moving, stopped rushing ahead. Really, we mostly collapsed. But, the point is, we had enough sense to just stop. To breathe. To face everything. By the time we hit Guadalajara we knew something had to change. The universe, as usual, provided what we needed at the moment we needed it most. We found a peaceful and beautiful place to settle for awhile. People who could help did and provided us the tools we needed to do our work. We threw ourselves in to local support group meetings, relationship counseling and EMDR treatments, all of which helped us process past trauma and to release all the negative stuff we were bringing into our relationship. We dove into some pretty heavy stuff and it’s been hard and emotional but also so amazing and beautiful. ‘Life-altering’ would be good description of the last few months. Fast forward six months and here we are, feeling like completely different people – younger, healthier, more joyful people. Kai & I have known each other for twelve years and as we look back at the last decade, we are amazed at how much we’ve learned about ourselves in the process of simplifying, building our Tiny House and cycle touring, but none of it compares to what we learned about ourselves while here in Ajijic. Today, we’re mainly feeling grateful that our current lifestyle allows us time. Time to stop and breathe. Time to focus on the important work that we need to do to become the healthiest people we can be. Time to clear out all the old so that we can have room for all the new to come. Time and permission. We’ve finally learned to embrace them as the gifts they are. So please forgive us for our recent blog-silence. We’ve been doing some really important work that’s required our full attention. But now, we’re back, so let’s catch up….we have so much to tell you! Loved following your recent adventures, although that cold stuff isn’t for me. Most cold riding I did was commuting to work, less than a mile from my home. Hi. 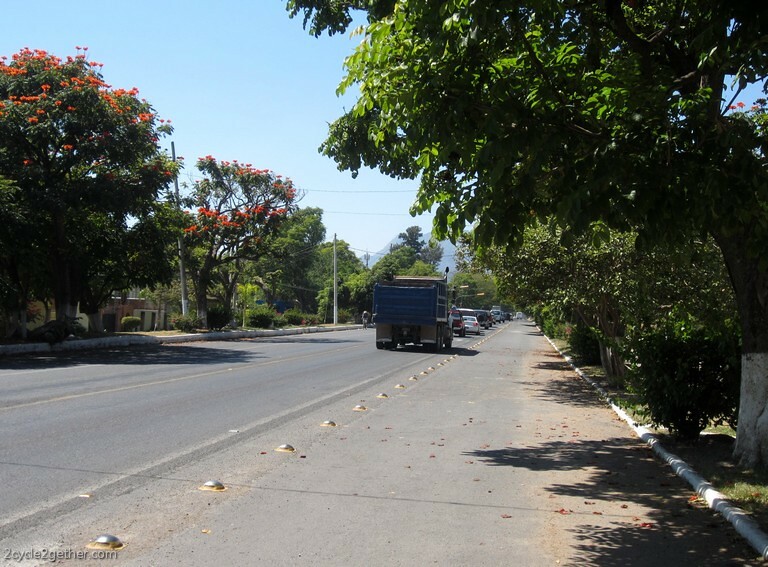 Are you still around Lake Chapala? Where bikes are for rent? Can you relay the contact info for any cycling groups? Thanks. Good to hear again from you. If I known it was sooo pretty there, I might of put a trip down on my calendar. Glad you are enjoying the place. Right now, I could use some warm weather and sunshine. We love you two! Thanks for your always kind and supportive words.